This ingredients in this salad have a unifying theme: their color. 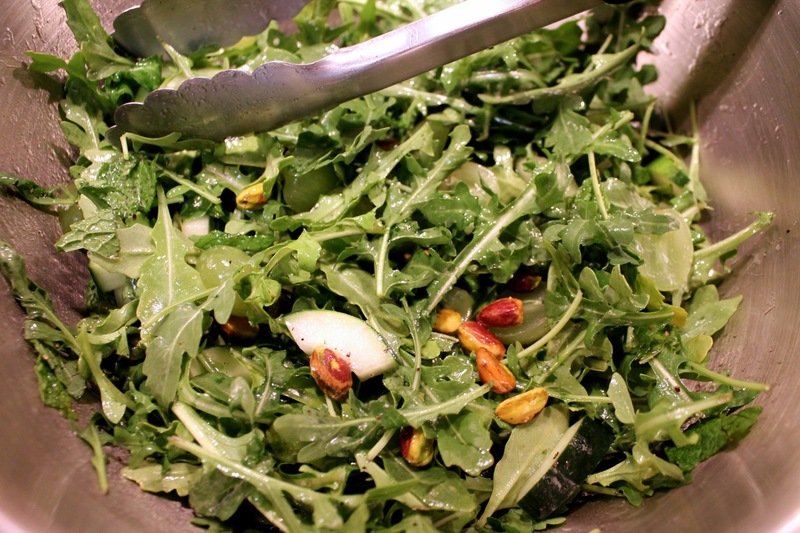 Everything in this salad is green, making it not just a green salad but a "green" salad. Combine arugula, cucumber, grapes, pistachios and mint in a large salad bowl. Whisk together oil, vinegar, honey, salt and pepper. Pour dressing over salad and toss to combine. This was great. I liked the mint best.